MISCELLANEOUS SURFACES Discounts Apply ! 2 1/2 - 3 1/2 inches tall. These are all similar in shape. We cannot guarantee what shape or size you will receive. 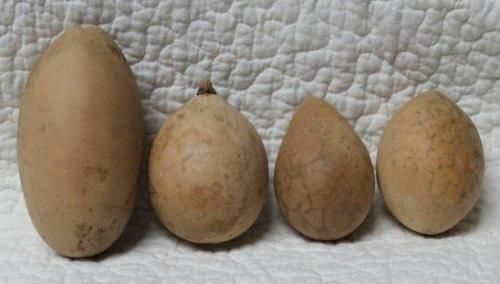 You can reduce or enlarge your pattern to fit the size gourd you receive. Della, Shara Reiner and Rosemary West have patterns available. Price is for one (1) gourd.